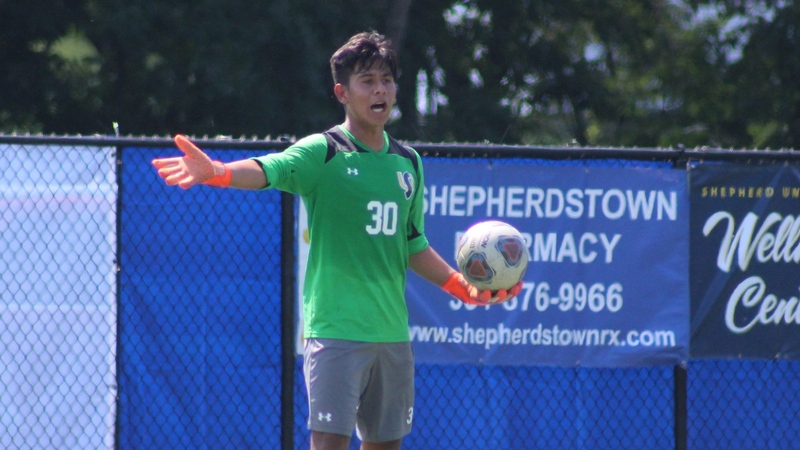 The Rams’ men’s soccer team welcomed the Bloomsburg Huskies to Shepherdstown for the opening game of the 2018 season but dropped the contest 0-2. An 0-1 record is not how the team wanted to start out, especially at home. This will be the last season for Shepherd in the Mountain East Conference before the switch to the Pennsylvania State Athletic Conference next year. The first game did not go the Rams’ way but they showed good things on the field that can be built off of going forward. The defense was able to hold Bloomsburg scoreless through the first half despite seven shots by the Huskies. The Rams offense was able to get just three shots off in the first half and five total for the entire game. Despite not converting a chance in the first half, the Huskies never relented in their offensive pressure as they registered nine corner kicks, five of which came in the second half where they scored twice. The goals for the Bloomsburg came in the 48th and 84th minutes after they had time to adjust during halftime. Rams’ starting goalkeeper Jose Machado Orellana, despite his best efforts, allowed two goals from forward Thomas King and defender Matt Goodall. Orellana had 10 total saves for the match. Now onto the Women’s game against Shippensburg. The Rams traveled to Shippensburg to take on the Raiders Thursday and unfortunately could not come up with victory, as they were outplayed most of the game en route to the 0-3 final. The Raiders controlled possession for the majority of the game. Constant pressure in the offensive zone allowed them to get off 16 shots, including 12 on goal. The Rams, in comparison could only get off two total shots for the entire game. The goalkeepers for the Rams’ were busy all game long as starter Lulu Fricks had five saves in the first half, and second half starter Meghan Byars had four. The first of three goals came at the 18-minute mark from K.K. O’Donnell on an assist from teammate Beth McGee. The first half concluded with the Raiders holding that 1-0 lead before they added a pair of goals in the second from an Izzy Weigel header and a Taylor Moore boot at the 75-minute mark. Raiders starting goalkeeper Delaney Shifflet needed to make just a single save for the entire game in the second half and was successful. 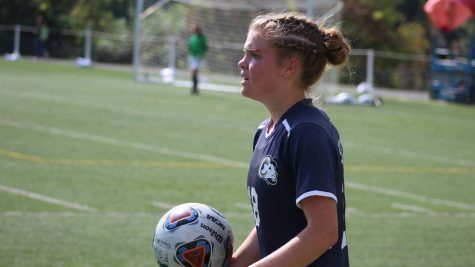 Like the men’s team, the women hope to get back to their winning ways Sunday, Sept. 2, when they welcome Kutztown to Shepherd for the first home game of the season with a 1 p.m. kick off.